Here are just some of the feedback we have received over the years. Feedback as helped us improve and become one of the leading driving schools in Kendal and surrounding areas. 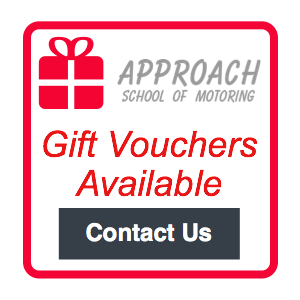 Approach School of Motoring is a great motoring school for learning!! Great teacher with great banter!!!. Thoroughly enjoyed my lessons with Paul, couldn’t have asked for a better teacher. Very patient, an all round good teacher in actual driving lessons to helping me with my theory. Paul put me at ease from the start with his relaxed, friendly but thorough approach, which led to me being able to pass my test 1st time. Top training!!! Paul was very patient with me and I would recommend him to anyone. I have been learning to drive with Paul Dixon of Approach School of Motoring and every lesson has been thorough and enjoyable and taught at an exceptional level. I now consider myself a confident and safe driver with thanks to Paul. From day one Paul created a calm and friendly atmosphere that made it a pleasure learning to drive with him. He was patient when it came to the areas I struggled with. Overall I have had a great time learning with him and I have gained confidence and experience driving. I would recommend Approach School of Motoring to anyone wanting to learn because of the friendly way they teach. Two years ago I learned to drive with the help of Paul Dixon from Approach School of Motoring. My name is Richard , and have Asperger’s syndrome, which is a form of high functioning autism, which lead me to some complications during school as at times I misunderstood instructions. Paul was very understanding, and was able to instruct me in such a way that I was able to comprehend. At the time I was very interested in cycling, and he was able to compare driving to cycling which helped me in the first few lessons e.g. Brake slowly like you would on a bike. I passed my practical test first time, as have other friends of mine who have autism and Asperger’s. I had recommended them to Paul as he was patient and understanding. Paul also helped me pass my pass plus. He’s a great instructor and a good laugh, and I would highly recommend him. When I wanted to learn to drive I was asking around for recommendations because I am quite a nervous person and I wanted someone that would put me at ease. More than half of the people who I asked said ‘Paul Dixon’. Paul is very friendly, you can have a real laugh with him but he is also firm when he needs to be. Trust me driving didn’t come naturally to me, I felt like giving up sometimes but Paul was always there to support me and he made me feel like I could do it with both my theory and the practical side. He never pushes you too far, he works at his pupil’s level and he waits till he thinks you are ready to move on to the next stage in their driving. He is very patient with new starters and I would definitely recommend him to anyone. Paul you are a star.